Available in either White or Black these phone grips and media stands come with a complimentary free 4/full color logo, 3M washable adhesive backing for multiple positioning. Expedited order delivery available. Min order is 250 units. Available in Silver. The POP Aluminum comes with 3M washable adhesive backing for multiple positioning. Expedited order delivery is available. Min order is 250 units. 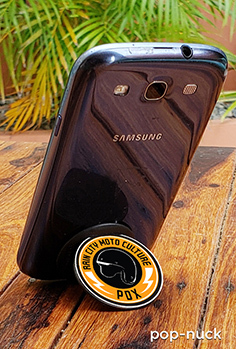 Available in Black these phone dash mounts are perfect for a laser engraved logo. POP Mounts come with 3M washable adhesive backing for multiple positioning. Expedited order delivery is available. Min order is 250 units and must be order with POPs. 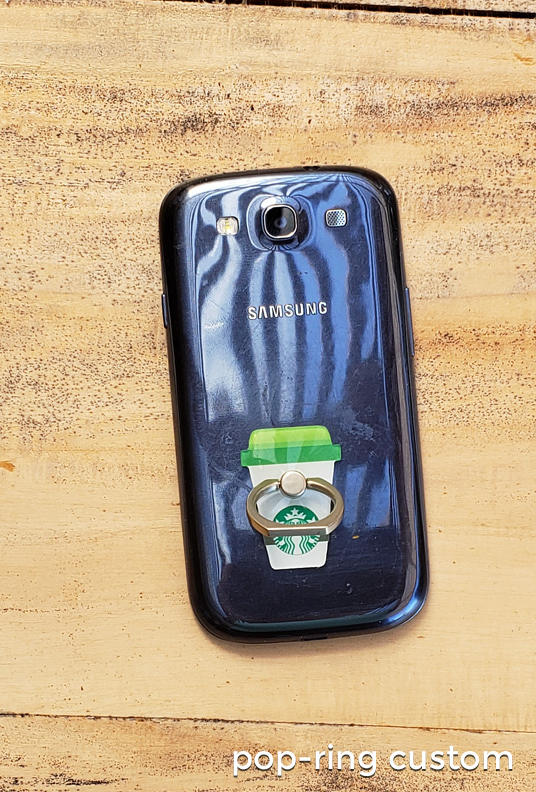 The POP Ring-Custom allows for easy one-handed use and for a superior way to capture that all-important selfie. 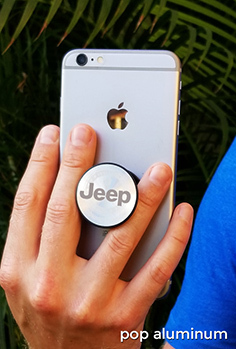 To create these uber-custom phone grips and media stands simply send your logo or art to your distributor for a free virtual design. 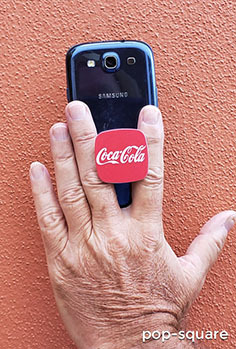 Designed with a 3M washable adhesive backing for multiple positioning. Expedited order delivery available. Min order is 250 units. 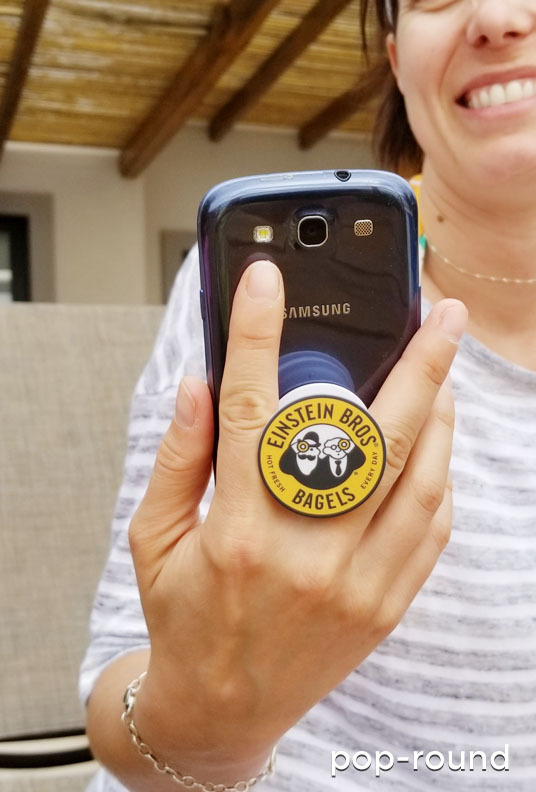 The POP Ring allows for easy one-handed use and for a superior way to capture that all-important selfie. Get your 4/full color logo on them for no extra charge. Available in all white, all black, white base, black, red, yellow or grey ring. Ask about other color combos. 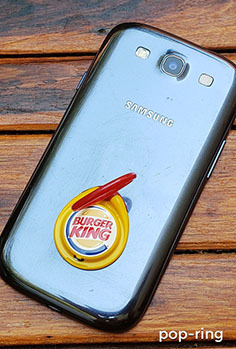 Designed with a 3M washable adhesive backing for multiple positioning. Expedited order delivery available. Min order is 250 units. 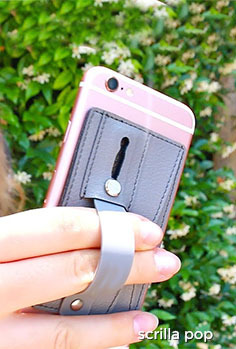 The collapsible POP NUCK allows for easy one-handed use and for a superior way to capture that all-important selfie. Available in either White or Black these phone grips and media stands come with a complimentary free 4/full color logo and 3M washable adhesive backing for multiple positioning. Expedited order delivery available. Min order is 250 units. 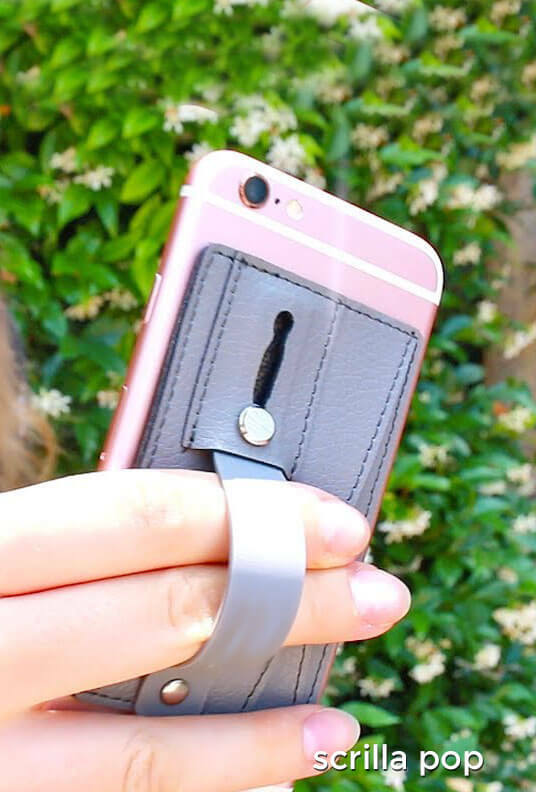 This leather-like credit card wallet, adjustable phone stand and trendy selfie grip is one of our best sellers. Scrilla POP, an incredibly effective way to build your brand identity. Available in Black. 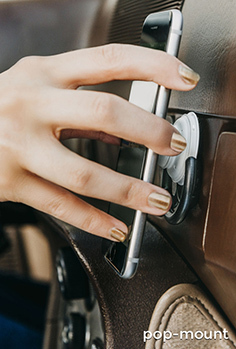 The Scrilla POP comes with 3M washable adhesive backing for multiple positioning. Expedited order delivery is available. Min order is 250 units.